This well-loved plant is native to Britain where it is found locally in woods. 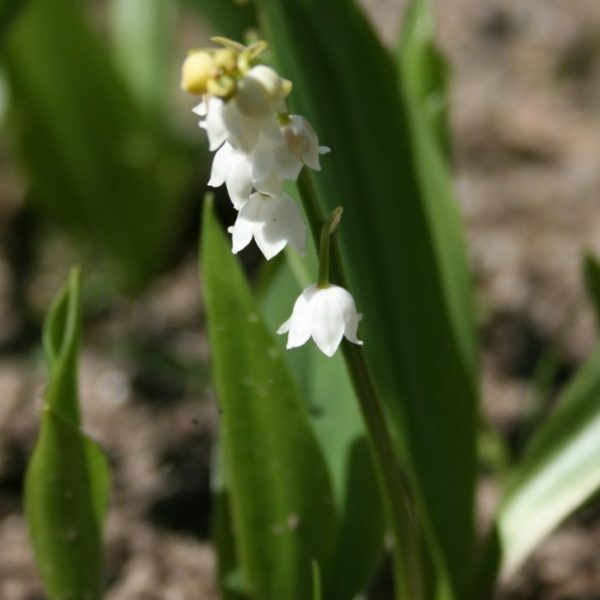 Sending up oval leaves and richly fragrant, nodding white flowers in May, it is popular with both gardeners and bees. Growing in a variety of situations where they’re happy, they can be fickle, so try them in different places to give them a choice. Plant 1″ deep laid horizontally.